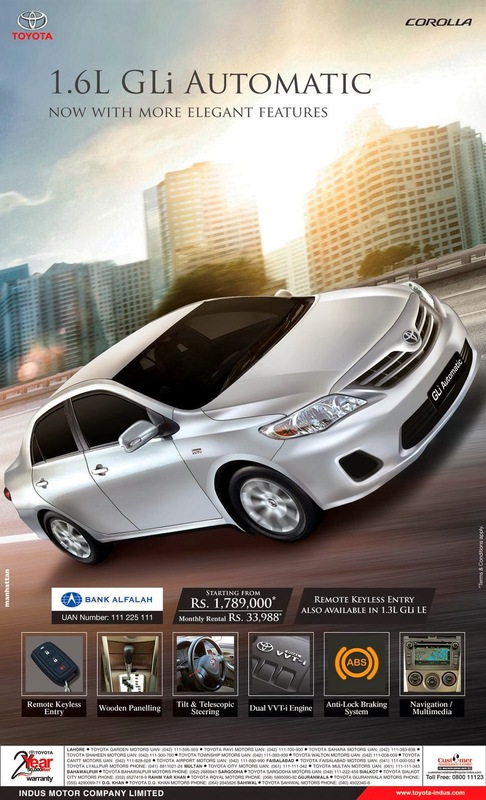 Indus Motor Company Limited work in Pakistan as a Toyota Corolla Partner. Now they bring 2014 1.6 L GLi AUTOMATIC with more elegant features like Dual VVT-i Technology with 12% better fuel efficiency, Power Windows, Dynamic Front Grill, Crystal Tail Lights, ABS Breaks. Black, Wine Red, White, Gun Metallic, medium Sliver, Bluish Sliver Metallic, Strong Blue metallic.